The dragons are pretty well trained in this aerodynamic threequel. Their emancipation now becomes the Vikings’ primary focus. 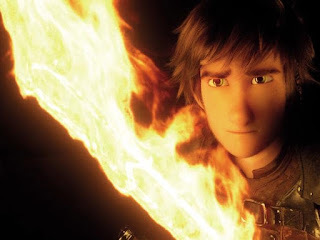 Hiccup (Jay Baruchel), the franchise’s lanky, young adult protagonist, is attempting to fill his father’s soft skinned shoes as the chief and ruler of Berk. Man and fictitious beast are living together in chaotic harmony when their relatively stable ecosystem comes under attack on two fronts. The immediate danger takes the form of an evil dragon hunter, Grimmel the Grisly (F. Murray Abraham), who hunts and destroys that which he does not understand. He’s a dark force hellbent on extermination. But there’s a more insidious threat to the intense bond between Hiccup and his beloved Night Fury, Toothless, whom he befriended as a whelp, and that’s their encroaching adulthood. The Hidden World is part coming-of-age drama, part mythical action adventure and part wildlife fantasy. Hiccup’s transition from boy to man is handled smoothly and without undue schmaltz. Grimmel’s slash-and-burn mentality sorely tests the young man’s leadership mettle. And when he chooses tribal migration, in search of a kind of lost paradise, not everyone is convinced by the wisdom of his decision. Astrid (America Ferrera), Hiccup’s 2IC, can’t be faulted — as a love interest or a female role model (Cate Blanchett provides further support here in the role of Hiccup’s fearless mother Valka). Bickering twins Ruffnut (Kristen Wiig) and Tuffnut (Justin Rupple) provide the requisite comic interference. Hidden World’s airborne action sequences are also superbly rendered. 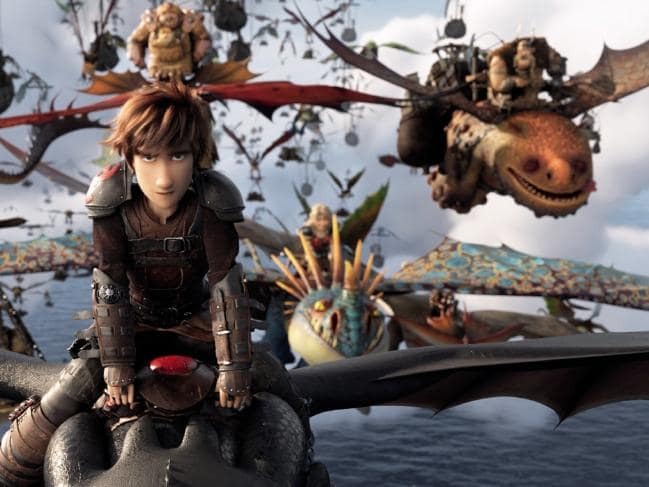 But it’s as an animated wildlife fantasy that the film really excels.